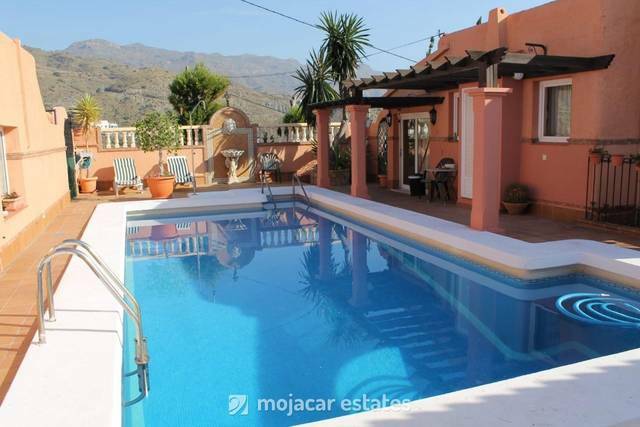 La Casa Redonda - Unique circular 3 bedroom penthouse with spectacular mountain and sea views in community with swimming pool approximatrely 400 metres to beach and all amenities. 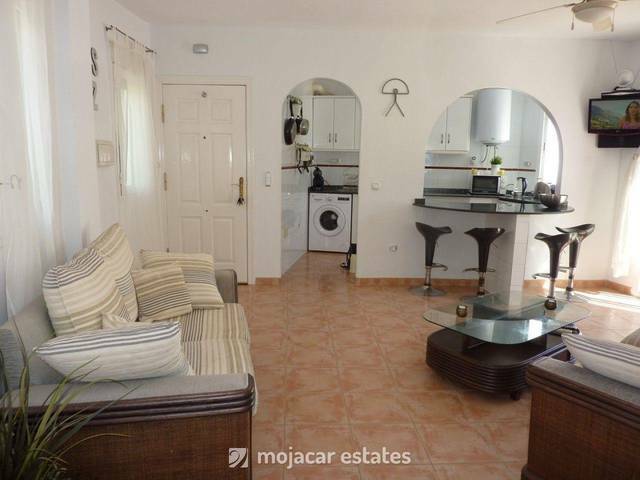 There is street parking in front of the house and external staircase ( one floor up) will lead up to the entrance door. 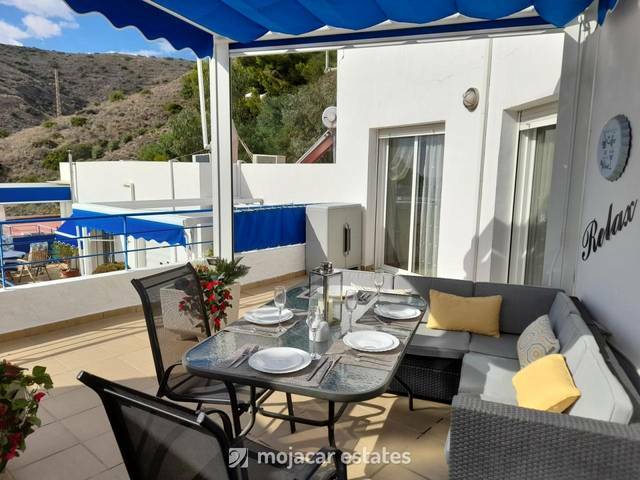 The accommodation is all on one level ( top floor) and comprises fully equipped kitchen with ceramic hob, oven, microwave, washing machine, fridge , freezer and all kitchen utensils, breakfast bar and lounge with access to large terrace. 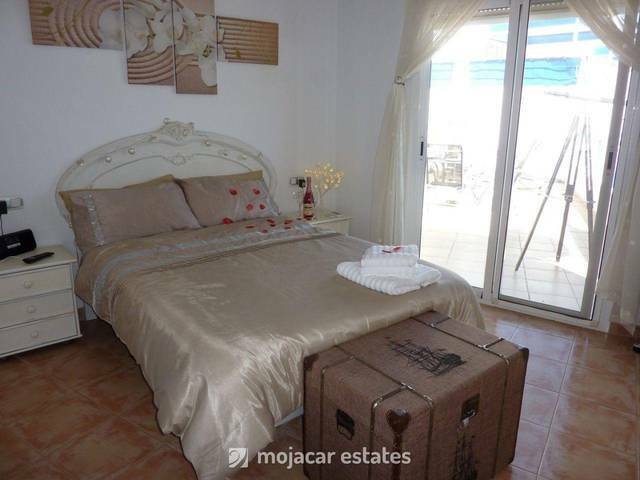 Bedroom 2: MIddle bedroom has a double bed, bedside table and lamp, chest & wardrobe and access to terrace. 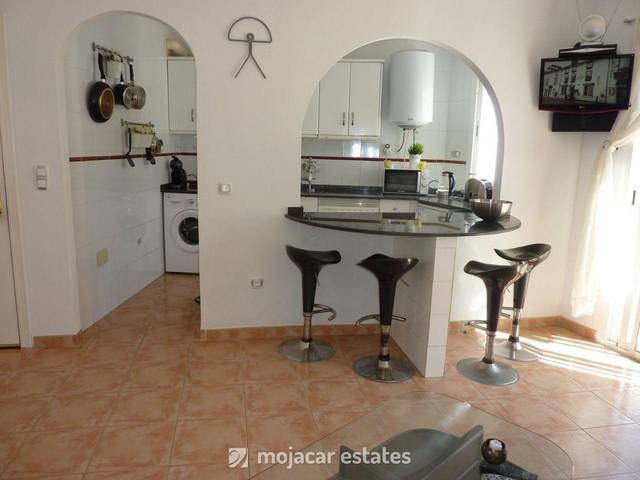 Also TV set. 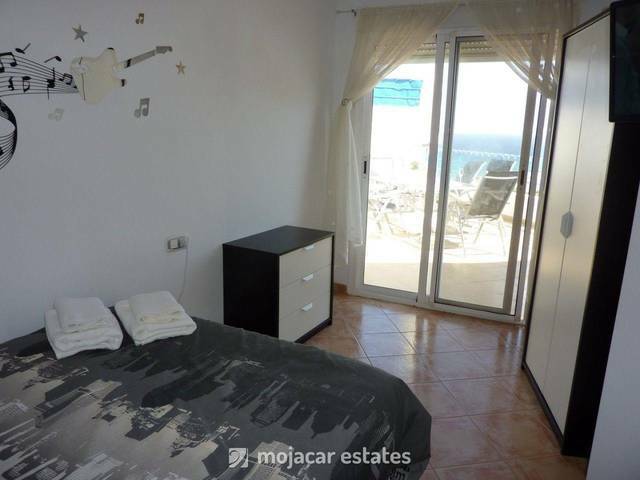 Bedroom 3: ( closer to lounge) has a double bed and one single bed, TV set and access to terrace. 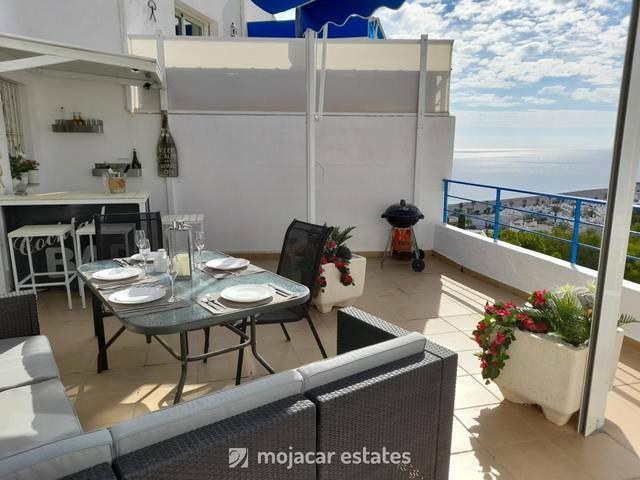 Terrace: large circular terrace with fantastic views towards mountains and sea and the swimming pool below. 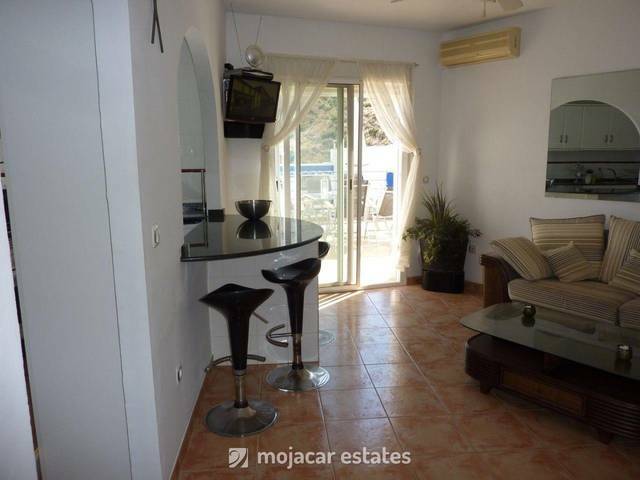 It is equipped with a dining table and 6 chairs, 3 sun loungers, sun umbrella and portable BBQ. 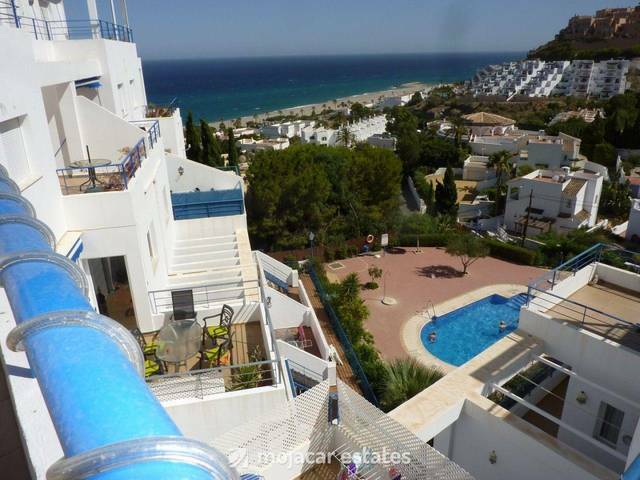 There is a lift going down to pool area and steps to go down to Calle Alhambra , short walk to beach from there. 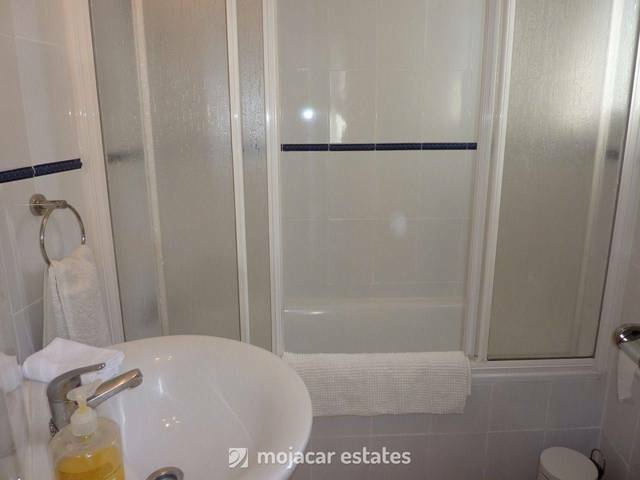 Air co units in lounge and all 3 bedrooms. 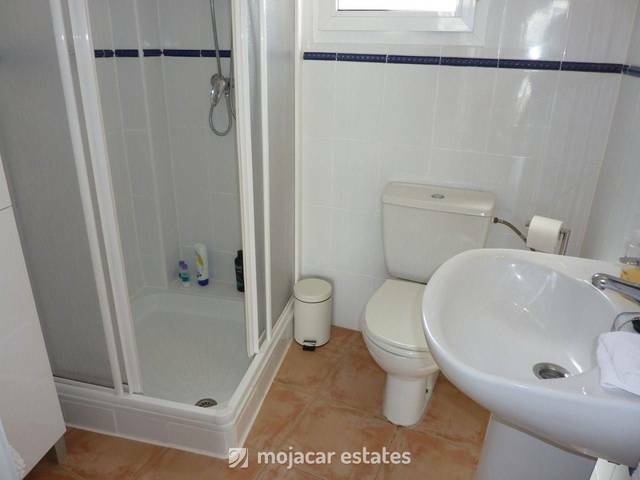 En suite shower room with master bedroom and full family bathroom. 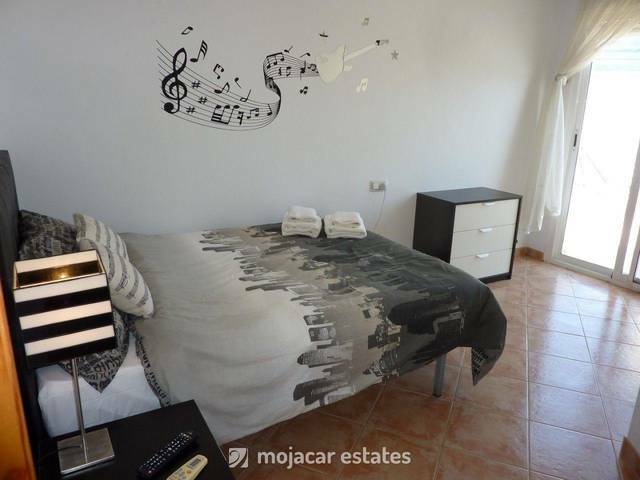 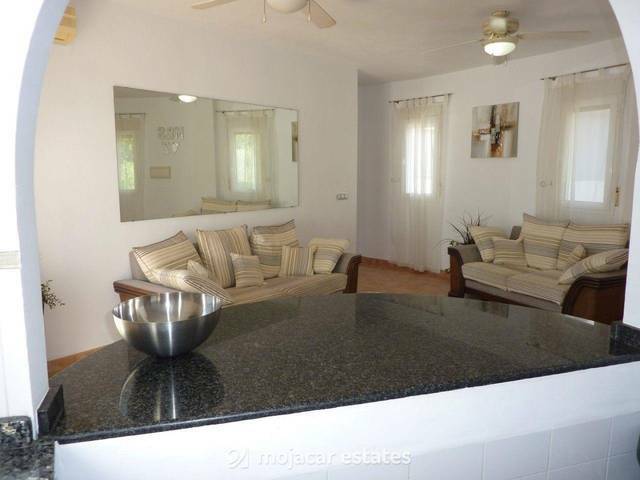 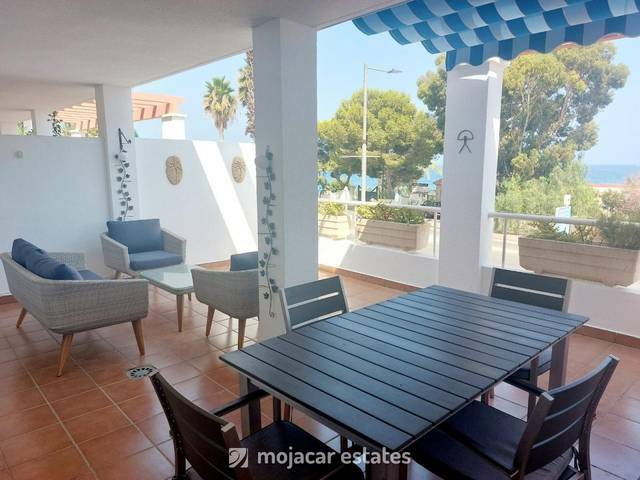 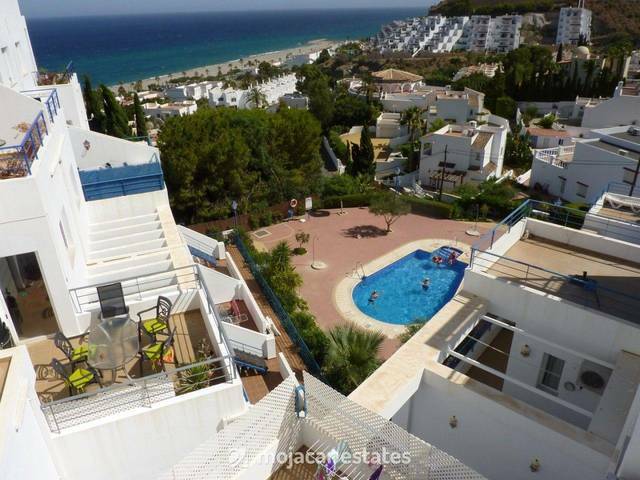 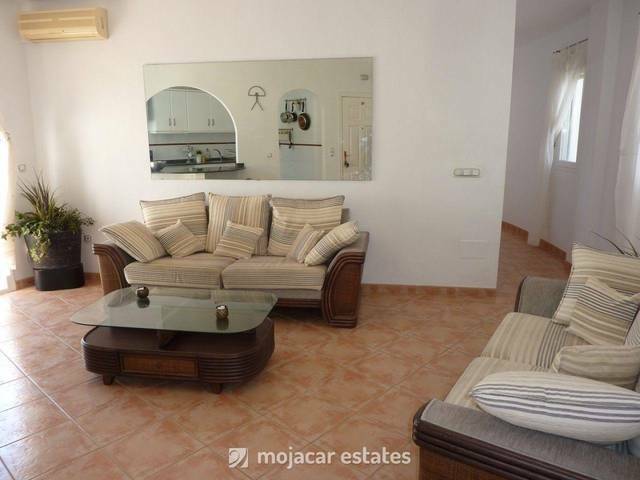 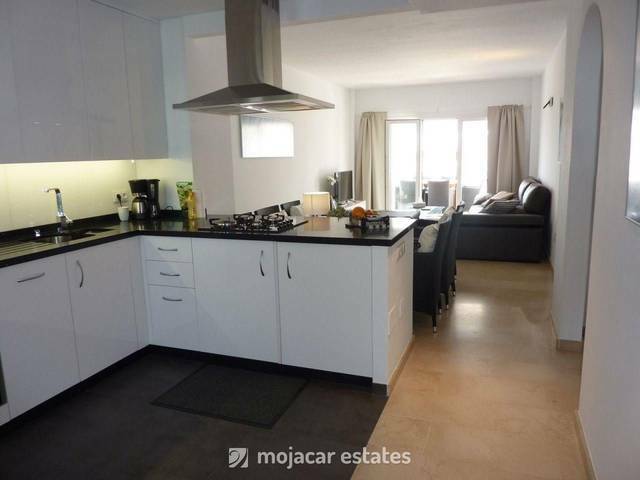 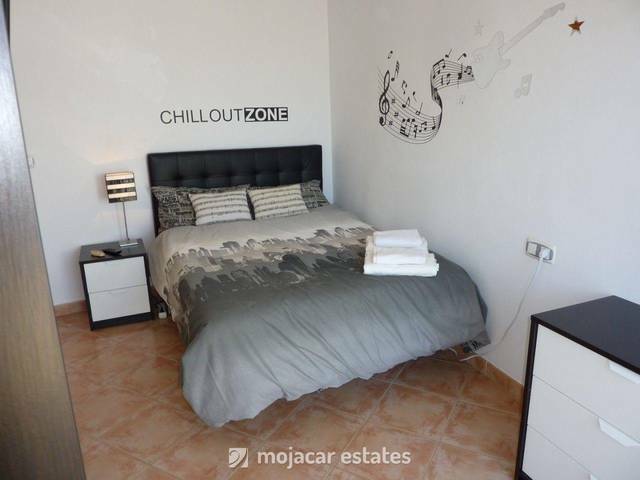 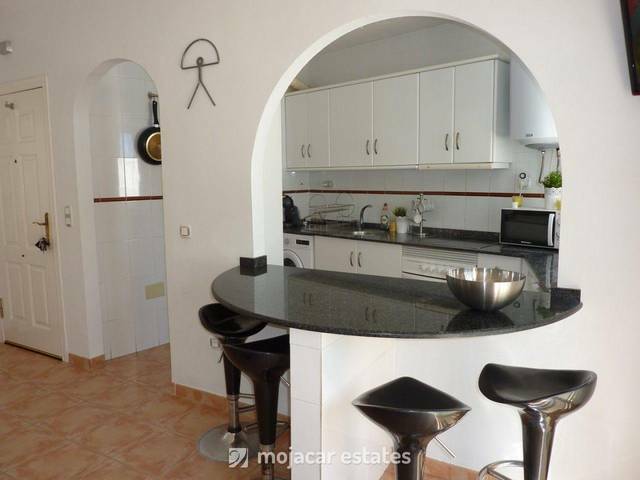 This south facing penthouse is located in the well known Playa de Ventanicas at the far end of Mojacar Playa, close to beach, promenade, shops and all amenities.